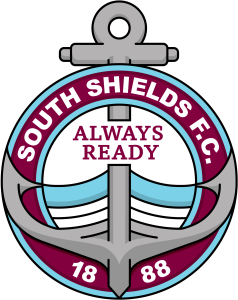 South Shields joint manager Lee Picton believes his side will have to adapt as they travel to Workington AFC on Tuesday (7.45pm kick-off). The Mariners are in a rich vein of form in the league,heading into the clash against the Evo-Stik Premier Division’s bottom team on the back of five successive victories. Despite this, Shields still find themselves trailing league leaders Farsley Celtic by a point, and Picton believes his side will be in for another tough test on the road. He said: “It’s going to be a different test altogether. “I’ve been to Workington a few times myself, so I know exactly what it’s going to be like. The Mariners put four goals past Hednesford Town on Saturday but Picton believes it was not a reflection of the game. He continued: “Fair play to Hednesford, because they came here and caused some problems, particularly in the second half of the first half. “We started pretty brightly and Nathan (Lowe) got us in front with a really well taken goal. Connor Bell netted his first goal since joining the club, and Picton hopes it will enable the striker to continue to find the net. He said: “I was just delighted that Connor got his goal, finally, not that he’s had a huge number of games without a goal. Full-back Blair Adams is expected to be fit enough to make the trip across to Cumbria despite being withdrawn after 60 minutes. Picton explained: “We had to take Blair Adams off as a precaution because he’s been feeling his groin this week and he was just starting to feel it after about an hour. Meanwhile, Gary Brown remains doubtful and Carl Finnigan and Barrie Smith continue their recovery from long-term injuries. Ben Harmison is available for selection following his three-game suspension.